If you know someone who likes to drink bottled beer, craft beers, root beers, or sodas, then this gift is for them! 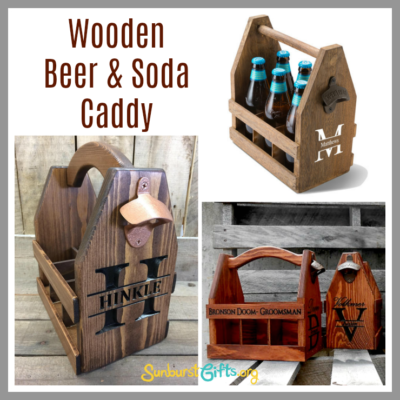 Give someone six 12-ounce bottles of their favorite beverage in a Wooden Beer & Soda Caddy. The wood has a rustic, handcrafted look, and it’s the perfect accessory for transporting drinks to picnics, BBQs and parties. It also comes with a handy bottle opener attached to the side! It’s so cute you won’t even need to wrap the gift. 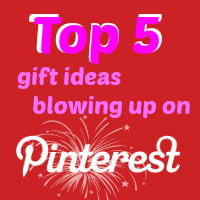 Simply attach a bow on top and you have a thoughtful gift ready to go. Easy peasy! For a thoughtful twist, give a personalized or monogrammed Wooden Beer & Soda Caddy with someone’s name or initials.You could also add a date, a custom logo, or a custom message. They make really cool groomsmen gifts, but they can also be given as presents for Father’s Day, birthdays, graduations, housewarmings, and other occasions. When you want someone to get your message loud and clear, bigger is better. 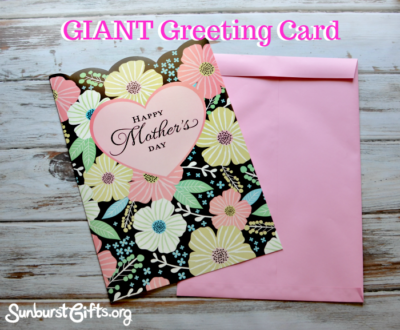 Giant Greeting Cards supersize any celebration! 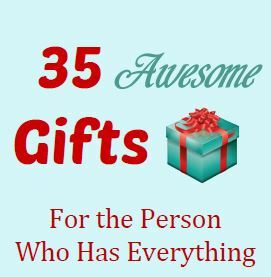 Pick from big birthday cards, huge holiday cards, giant graduation cards, monstrous Mother’s Day cards, and more! 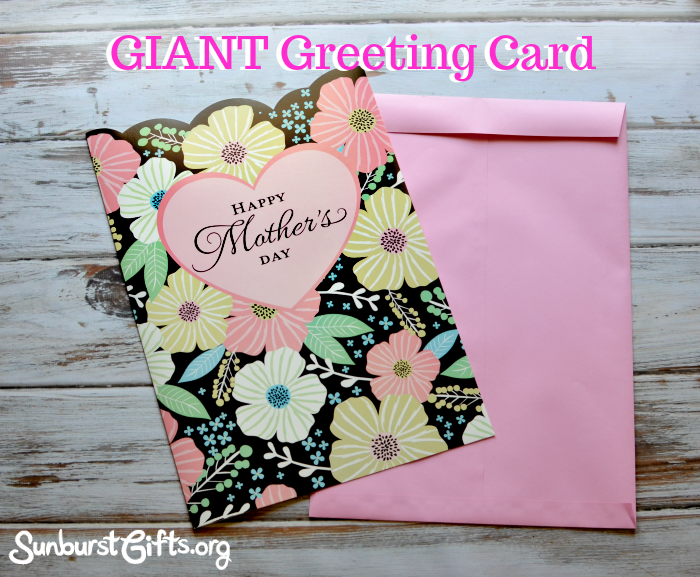 Giant Greeting Cards are often 2 feet by 3 feet in size, although they do come in other sizes such as 8.5 inches by 11 inches. I came across a genius idea in my Facebook feed that I had to share it with our readers! Have you heard about the “Truth Bomb Mom?” Her videos always inspire me and make me laugh, but the video below has to be in my top 3! 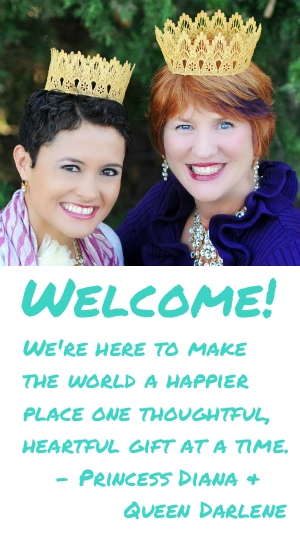 Truth Bomb Mom (aka Kristina Kuzmic) shares her secret to a happy marriage and the best, most creative way to reconnect with her spouse–lots of FIRST DATES. 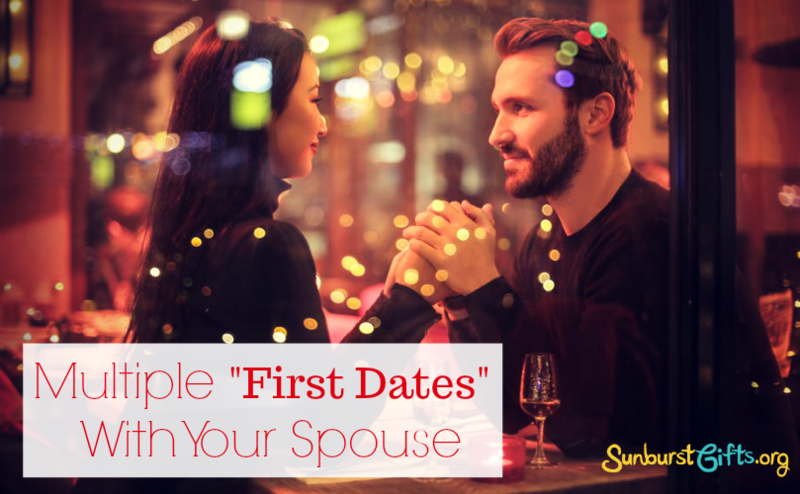 What exactly does she mean by “first dates?” It means going on date nights as if they just met and were going on their actual first date. He is pretending they just met to recreate that newness and anticipation of a first date. Is your Valentine a dog lover? Do they love to snuggle under a blanket? Do I have a “yes” to both questions? Great! 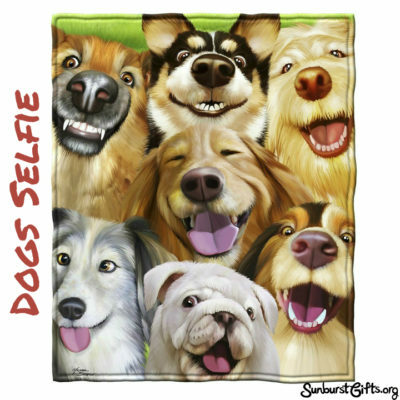 I have a gift that’s all smiles–a Dogs Selfie Fleece Throw Blanket. You can even get a Cats Selfie throw blanket for the cat lovers you know. They have Horses Selfie and Ocean Animals Dolphin Shark Turtle Whale Selfie throw blankets too. That should just about cover (no pun intended) everybody’s favorite animal. Everyone is into selfies–why not animals?! Every time I look at these dogs smiling at me, I just can’t help but smile back! I love how throw pillows can make a creative statement on a sofa, chair or bed. They’re almost like “pillow art” because they come in so many unique designs, colors and textures! 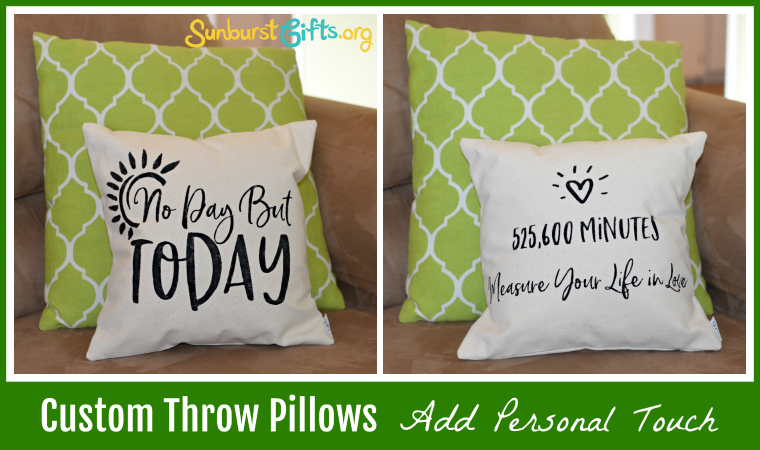 But did you know it’s easy to create your own custom, personalized throw pillows for yourself or as a gift? There are so many websites that allow you to select the image, text, font, color, fabric, etc. so you can really make them one-of-a-kind. Do you have favorite photos? Favorite sayings, quotes or scriptures? A special date? A unique message? When you put it on a custom throw pillow, you can see it every day! 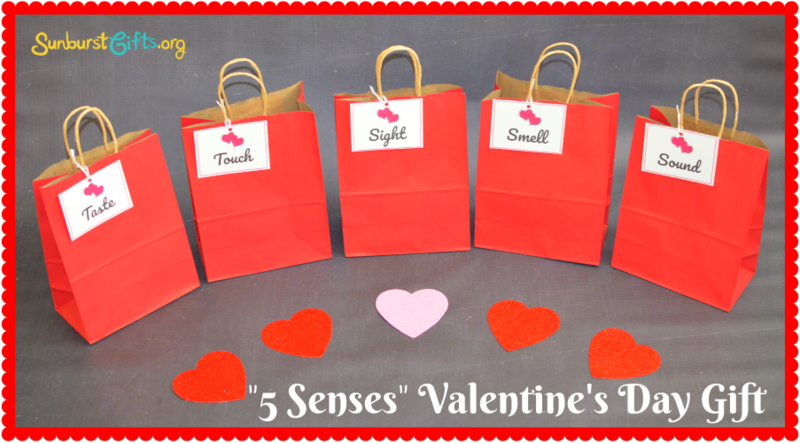 When we think of Valentine’s Day, we immediately think of romantic relationships. 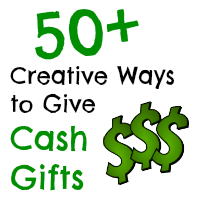 A close second are Valentine gifts for kids! Cute plush stuffed animals are loved by everyone especially if they are interactive and musical. I needed some birthday cards and stopped at a Hallmark store. As I walked in, I instantly was greeted by the Little Lionheart and Sweet Swingin’ Elephant musical stuffed animals. My heart melted. 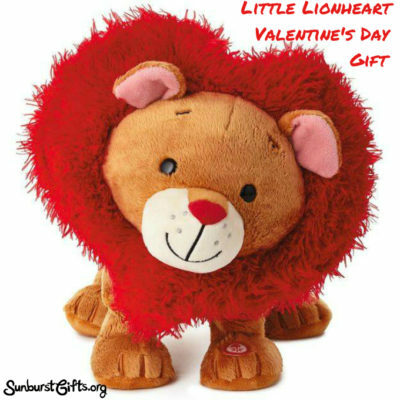 What a wonderful way to celebrate Valentine’s Day with a loveable plush toy animal that sings and dances. It was so much easier to pick out Christmas gifts when they were small, but as adults it’s difficult to surprise them. 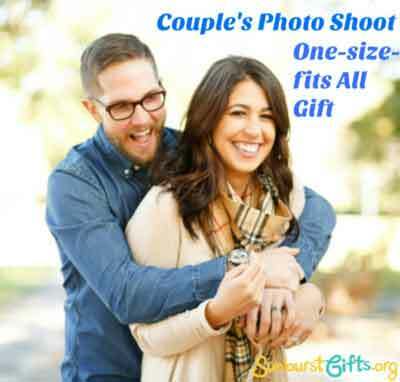 My friend shared her “stroke of genius” idea and came up with a Couple’s Photo Shoot for her grown adult children’s Christmas gift. We have lots of pictures of our children but not professional grown-up photos of our kids and their spouses other than the wedding photos taken years before. Even her adult granddaughter and boyfriend will receive a photo session. They will be so surprised! Moto Photo packages for couples are reasonably priced starting at $55 for a one pose package. The package consists of an 8×10, two 5×7 and 8 wallets. 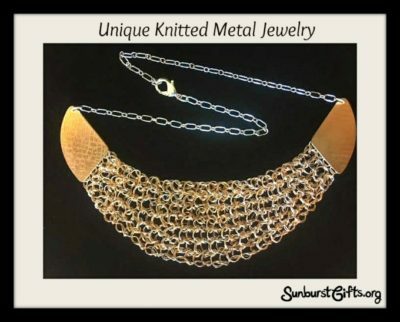 Gift certificates are also available to give any dollar amount you would like. JCPenney Portraits and Portrait Innovations are also offering holiday specials. Really good ice cream in fun flavors. That’s what I want. Any time of year. One of my favorite flavors is goat cheese ice cream. Hey. Don’t knock it until you try it. Trust me. One time a friend bought me a pint of Jeni’s Goat Cheese with Red Cherries. Absolute heaven! 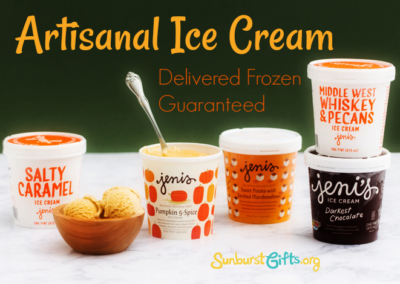 Have you heard of Jeni’s Splendid Ice Creams? It’s an artisan ice cream company, which means real people use real (vs. synthetic) ingredients to make the highest quality ice cream. The company is known for always coming out with fun, inventive flavors! Will You Be My Matron of Honor?